All-Ireland Scór final – Best wishes to our Ceili Dancers and Ballad Group who travel to Castlebar this Saturday for the All-Ireland Scór Sinsear finals. The dancers – David Tierney, Paul Breen, Faelan Duffy, Damian Friel, Michelle Mullin, Leanne McCullagh, Amy McElhatton and Lauren Murphy – will be out to retain last year’s title and bring back an 11th national title to the club while the ballad group of Eolann Duffy, Faelan Duffy, Edward Byrne, Padhraic Colton, Conal O’Kane will be hoping to secure a fourth All-Ireland for St. Enda’s, the previous titles being won in 1987, 1990 and 2008. The two teams and travelling supporters are expected to return to the clubrooms on Sunday at approximately 5pm. Everyone is invited to welcome them home. Senior league – On the football front, the seniors and reserves made it two out of two in the League last Saturday with good wins over Cookstown. This Sunday they play Moy in Healy Park at 2.15pm and 3.45pm. The senior ladies open their league season on Saturday at 7pm when with a home game against Glenelly in St. Patrick’s Park. 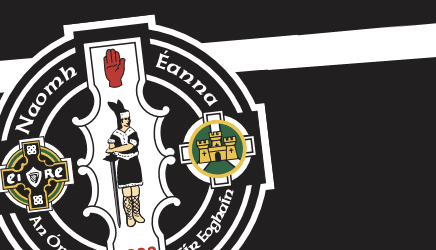 Tickets – Paid up club members who are seeking tickets for the Ulster Championship game on Sunday 18th May at Healy Park should text their request to Club Secretary Paul Breen on 07803876555. Golf Classic – Tee bookings are still being taken for Club Omagh golf classic on Fri 30th May. Contact Paul O’Neill 07772 738462 or Eugene Bradley 07928666 to secure a place. Camogie blitz – U10 Camogs are in blitz action this Saturday in Derrylaughan at 10am. Coaching continues on Friday evening at 6.15pm. Boys coaching – Football and hurling coaching for U8 and U10 boys will continue at the CBS astro pitch on Saturday from 10am. Please note that U10s will not be attending a blitz. U12, U14 and U16 coaching will take place in St. Patrick’s Park on Thursday evening at the earlier time of 5.45pm – 6.45pm. Girls football – U14 girls will play Glenelly in the league on Thursday evening in St. Patrick’s Park at 7pm. Club gear – Check out the new range of St. Enda’s gear at the Kit Stop in Healy Park. Contact Vicky O’Hagan for details 07725 356876. Price list and order form can be downloaded from our website. Club Lotto – Last week’s Club Lotto numbers (April 17th) are 3, 4, 15, 23, 29. There was no winner of the £5,000 Jackpot. Four draw winners of £25 each are Jackie McCoy, Oliver O’Neill, Declan O’Neill and Paul McElhatton.